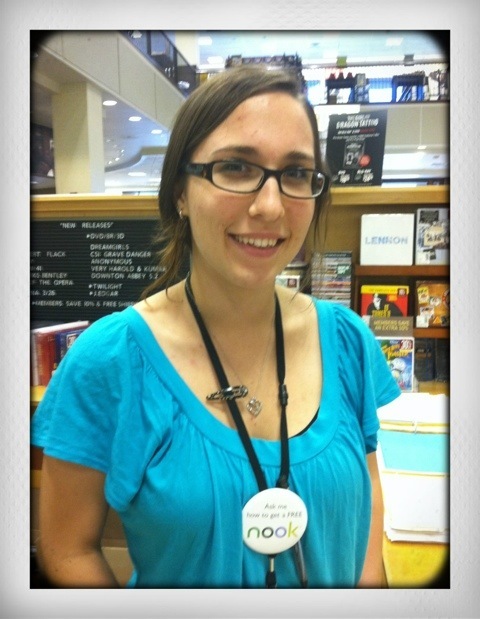 Another one of my favorite places…B&N! After a couple turndowns for this mini interview today, I finally approached Amelia. More air! lol….the SOB is for the dead! The day could have been better if I had gotten more sleep. My day was completely altered by the fact that I woke up at 3am and was up from then on. It had a chain affect on the rest of my day. So if I had gotten more rest it would have been much better.